Saddle up & head out to the wild wild west! 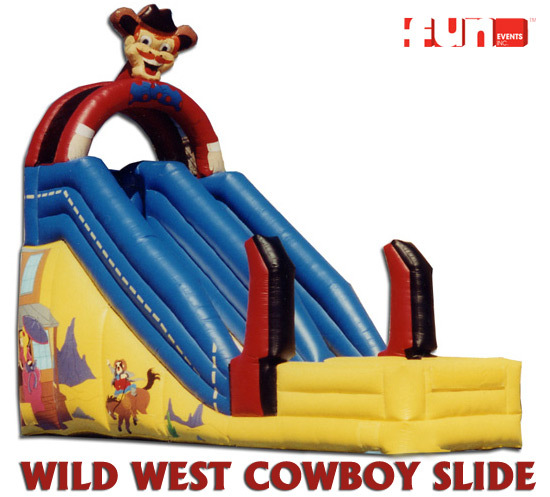 This 23 foot inflatable slide will impress the "roughest & toughest" cowboys & girls at your event. Great for western theme parties.